Shy responded to the brief to design a book jacket to raise awareness of the effects of climate change. Shy says: "To illustrate how each of us can play a role in climate change, I wanted the reader to see change—literally—through the use of thermochromic inks (inks that are activated by heat). These inks reveal a simple message that future climate predictions are not static, but that each of us, through personal adjustments, can encourage change. 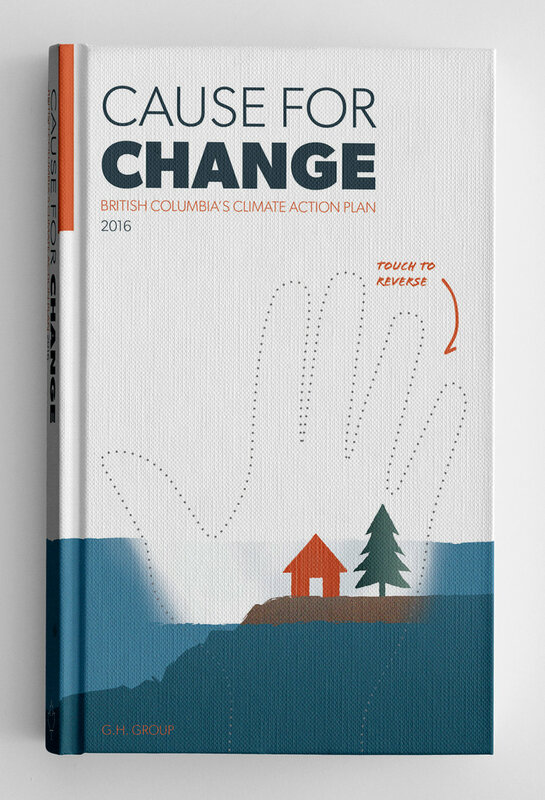 The theme was then extended through different covers for several provinces, each reflecting the prominent climate action needed in those communities." Big congratulations to Shy for this wonderful achievement!